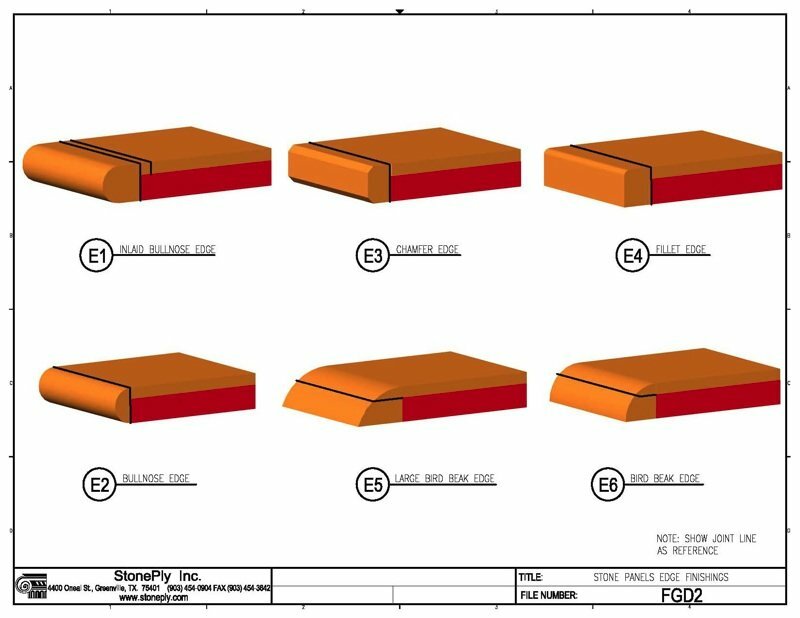 Looking for details and CAD drawings for StonePly attachment methods? Here is a quick guide. 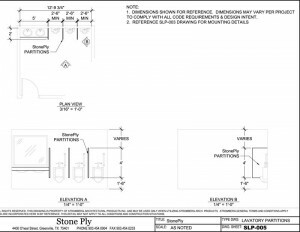 Here are some typical details for StonePly. 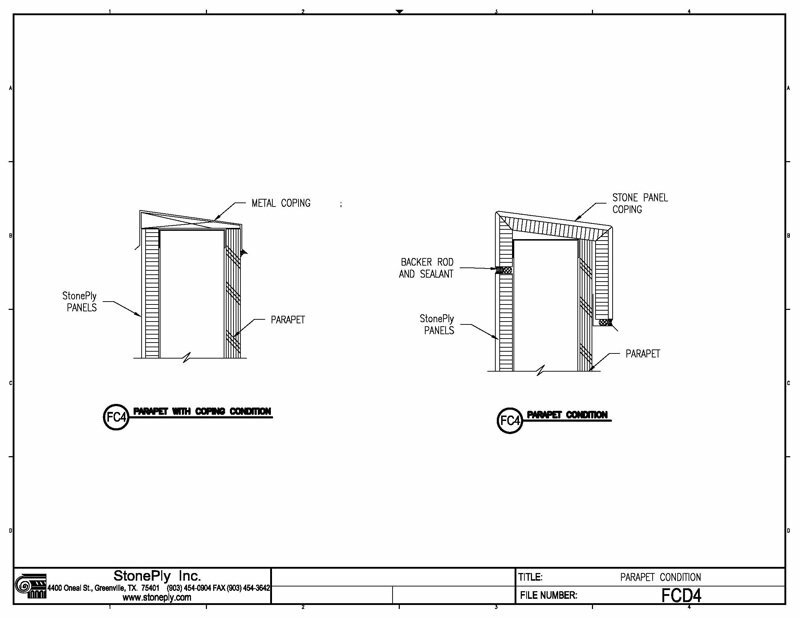 You can download the drawings here as either as pdf or dwg format. 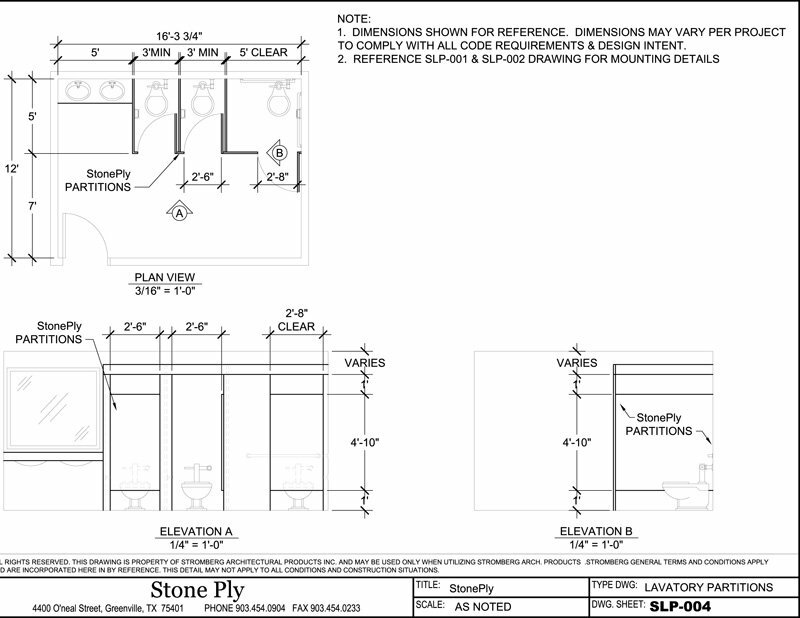 Detailing stone used to be really hard. It was heavy, fragile, difficult to attach and hard to support and install. 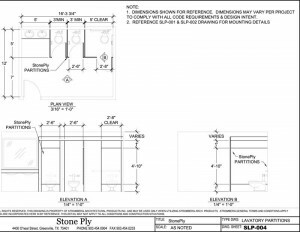 StonePly changed all of that. 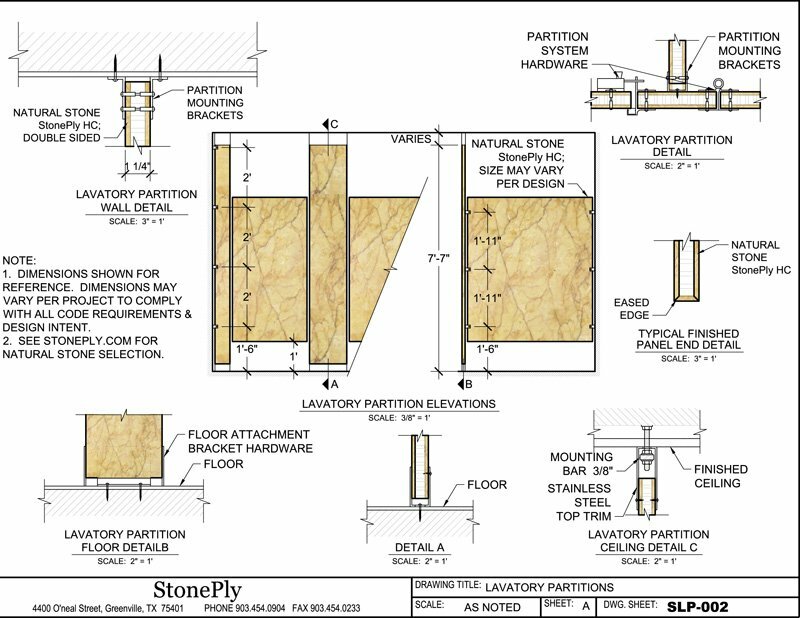 And since StonePly makes natural stone lighter, stronger and simpler to attach, there are hundreds of ways to use StonePly in your designs. If you don’t find what you are looking for here or if you have a question about detailing, please contact us. We are here to help. 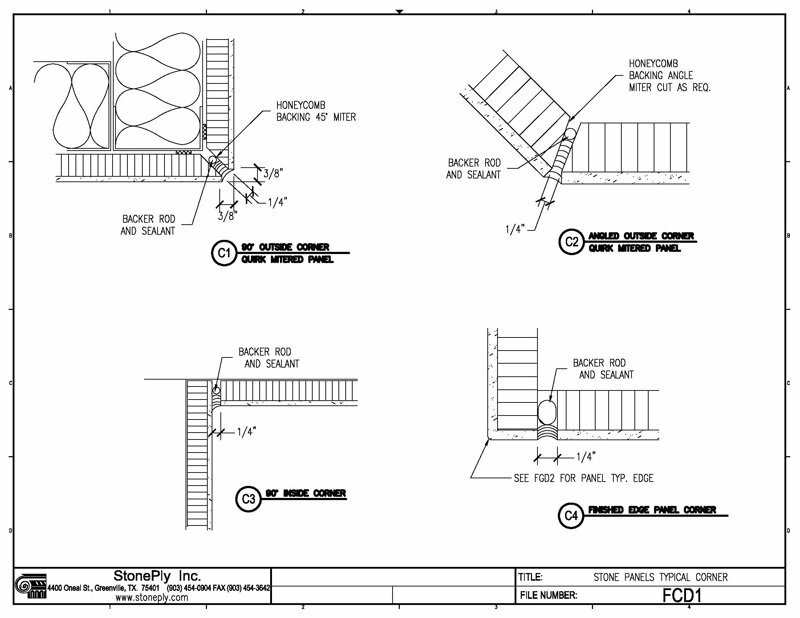 If you are detailing a façade wall, the Z clip system with adjustable angles is our most popular option. 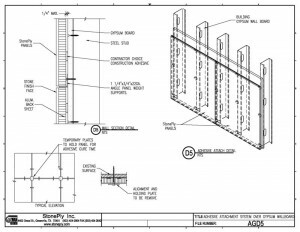 Similar to the Z clip system, the adjustable angles allow for the depth of the cavity to be adjusted to allow for variations in the wall, allow for insulation and allow the stone façade to be hung straight and true. 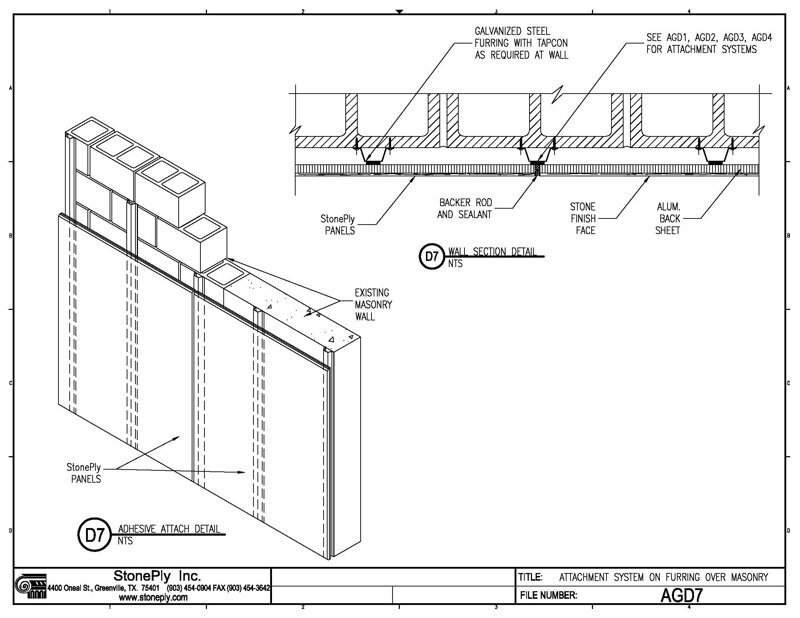 An angle is attached to the wall, the second angle is plumbed and leveled and then attaches to the first. The Z clips attach to the face of the angle. The most popular method of attachment is the Z clip. 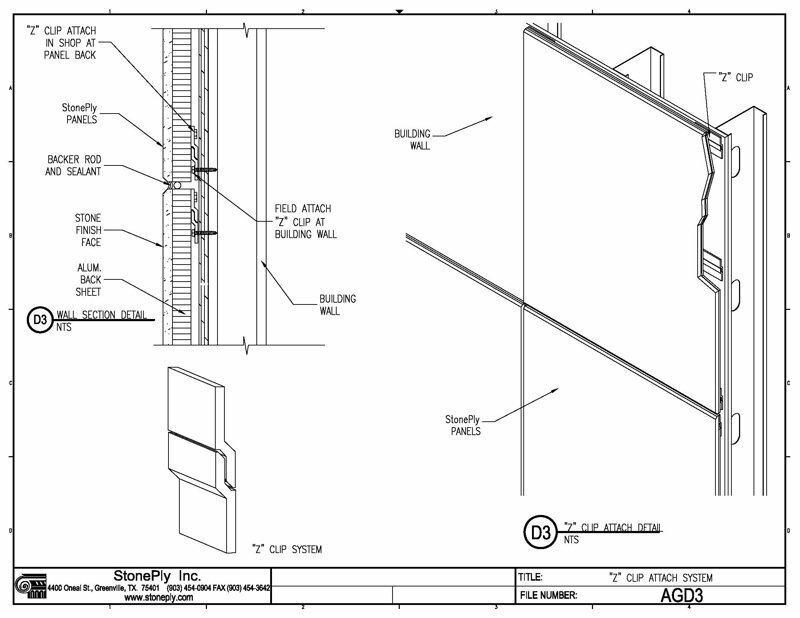 For exterior cladding, the wall is waterproofed. 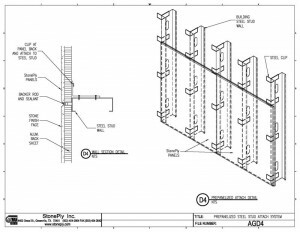 Z clips are then attached to the wall with stainless steel screws. 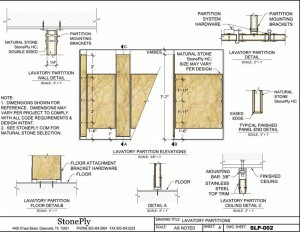 The StonePly panels have Z clips mounted to them and the panels are hung by the interlocking Z clips. 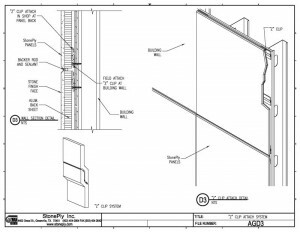 If the wall is uneven, adjustable angles and Z clips are recommended. 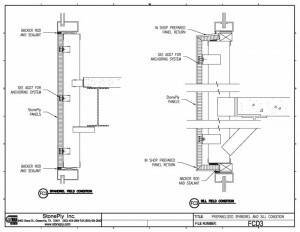 The anchor plate attachment system is a screw attachment. 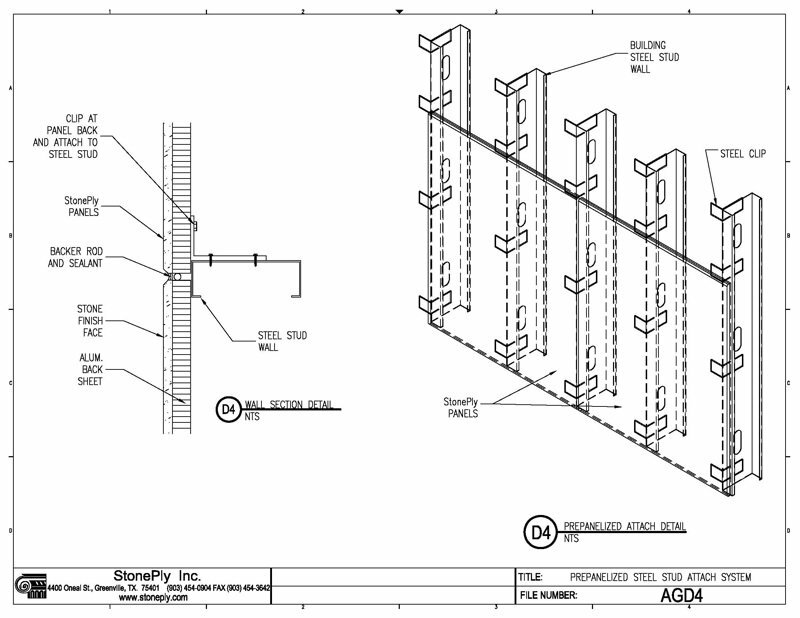 It uses metal tabs at the perimeter of the StonePly and screws through the tabs at the joints. Stud spacing should align with the vertical joints and metal straps can be used horizontally to provide a substrate for the screws to attach to. 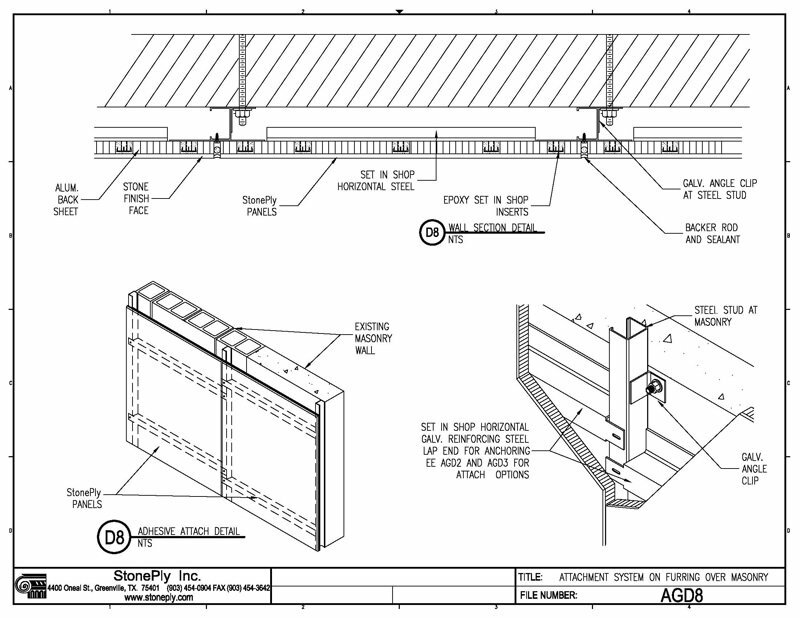 Alternatively, a plywood sheathing can be used as a substrate. 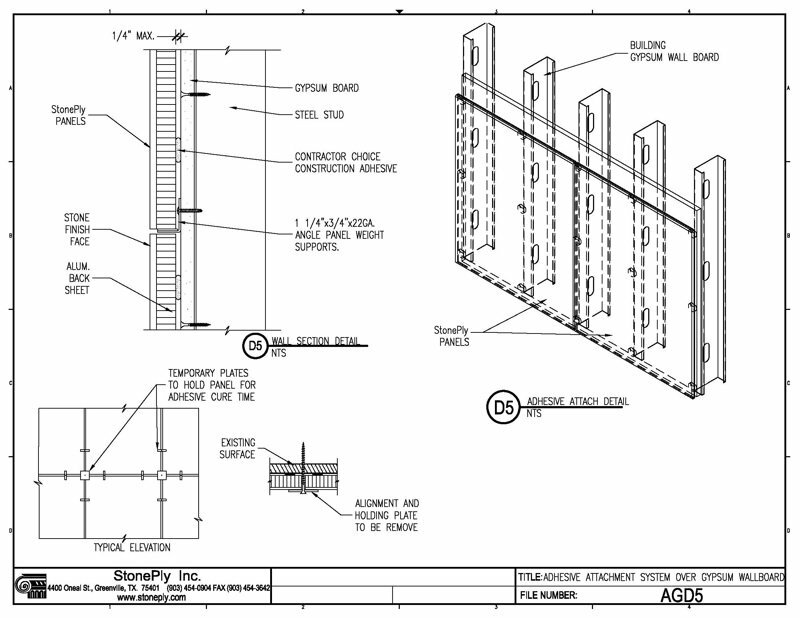 The pre-panelized steel stud or strong back system is a prefabricated metal frame that the StonePly panels attach to. 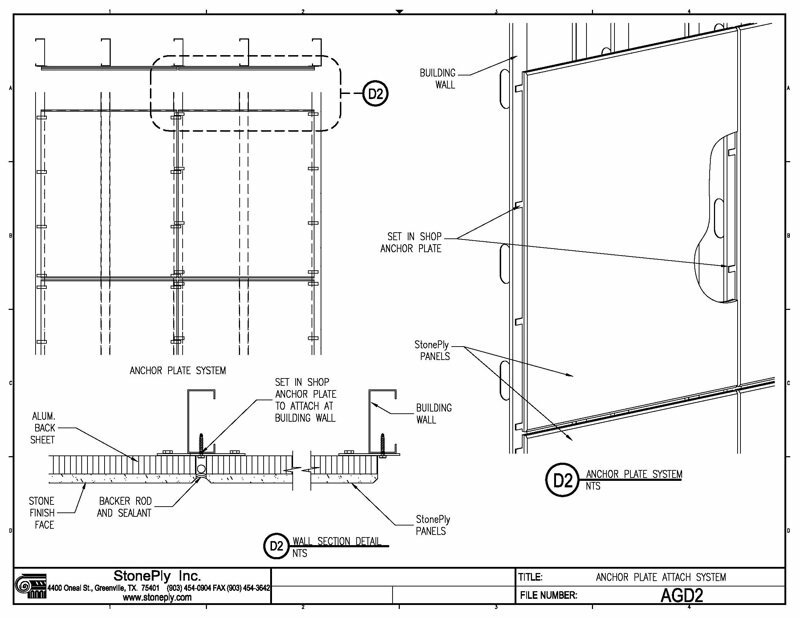 The framed panels can then be hoisted into place and erected as larger wall panels. This is sometimes referred to as a strong back frame. 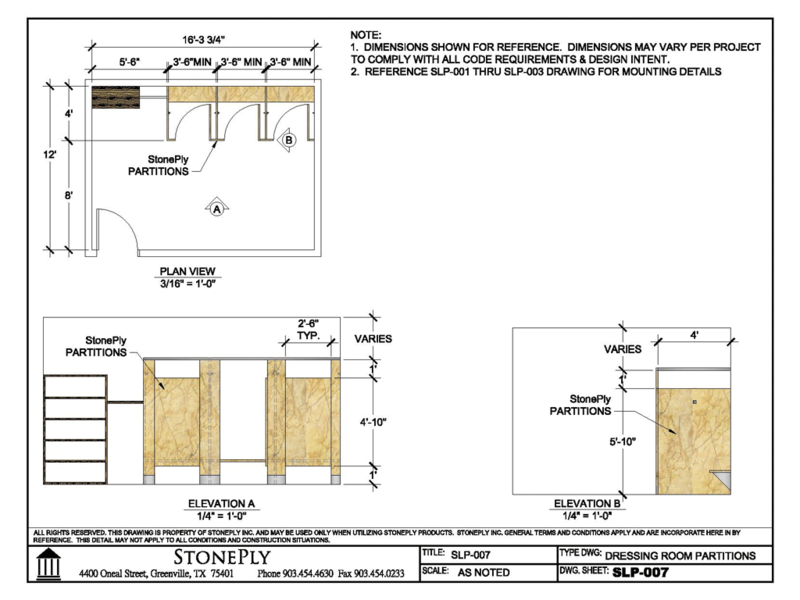 For interior applications, StonePly can be attached by adhesive. 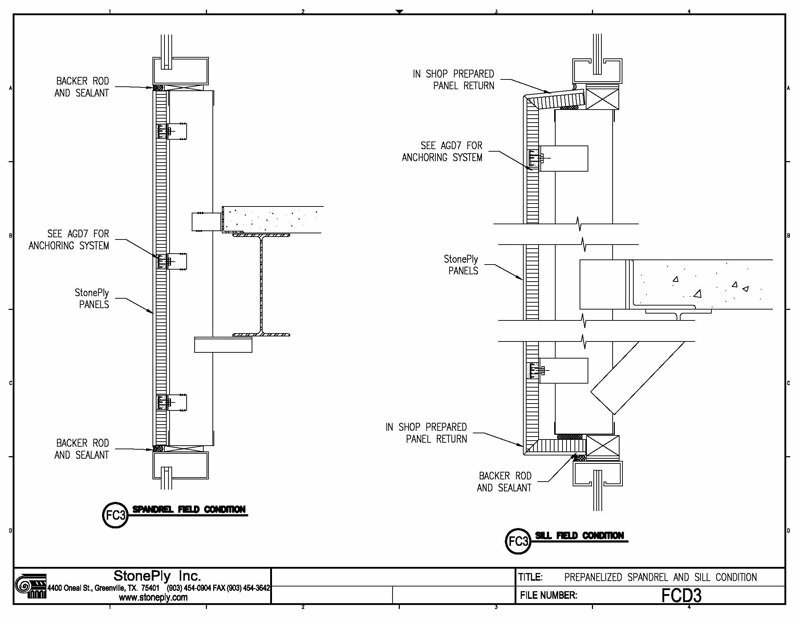 Adhesive options include construction adhesives like PL Premium. A clean gypsum board wall is the substrate. Adhesive is applied to the backs of the panels in walnut sized dabs at 16” spacing. The panels are then pressed into place. 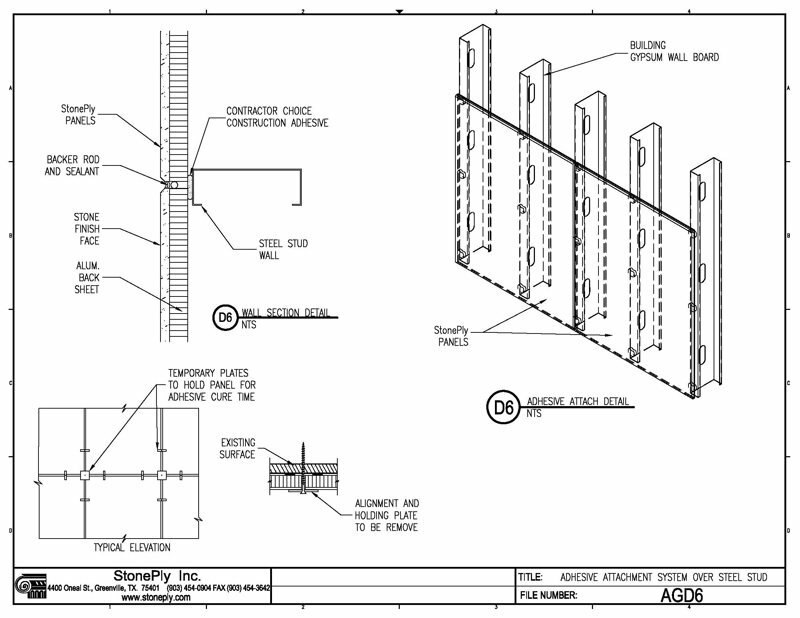 Spacers are used to maintain the joint spacing. 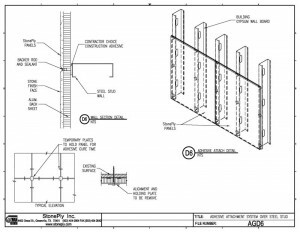 Similar to the adhesive attachment over gypsum board, this method allows you to attach directly to steel studs with adhesive. 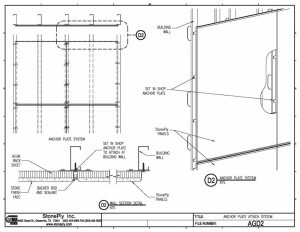 For panels over masonry walls, hat channels allow for trueing up the wall and providing a flat and true surface to attach the StonePly. 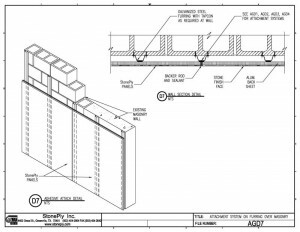 A stud is attached to masonry wall. 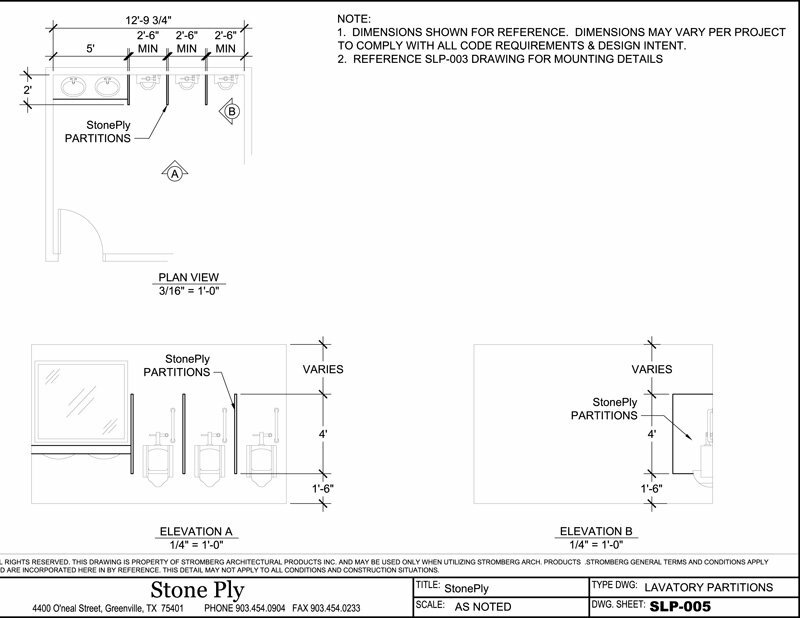 StonePly has a channel mounted to the back and screws are used to secure the StonePly panel. 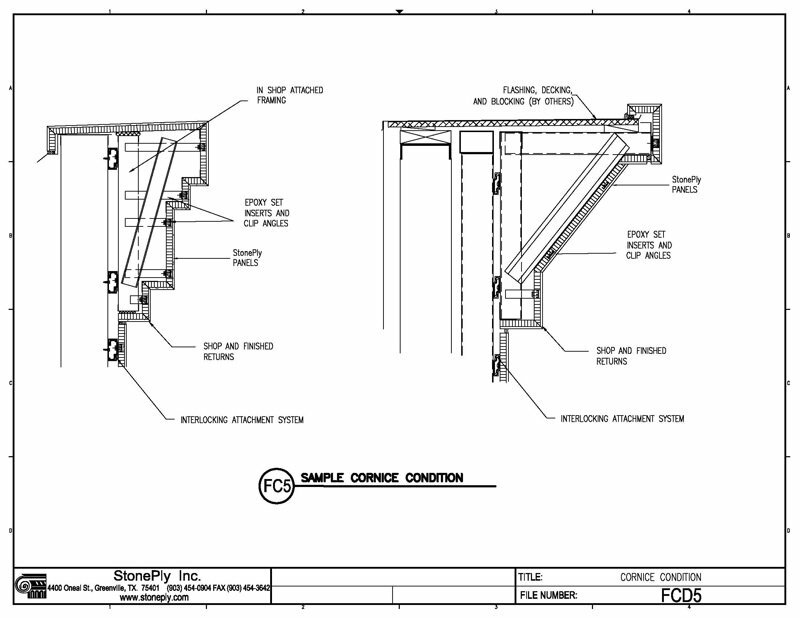 Details of the more common corner conditions and joints. 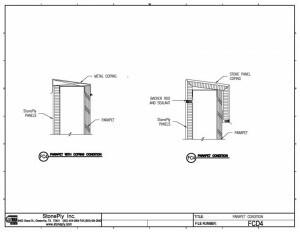 Outside corner quirk miter, Angled Outside Corner, Inside Corner and Finished Edge Corner. 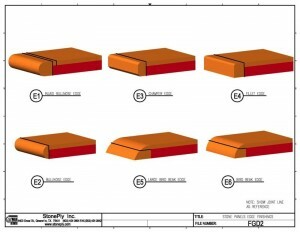 For counter edges and furniture edges, the typical edge details. 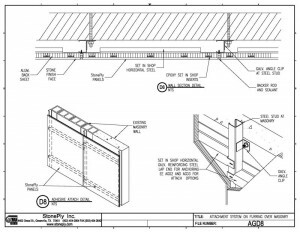 Panels and spandrel panels can be pre-panelized onto a steel or aluminum frame to allow them to be lifted into place as one large unit. 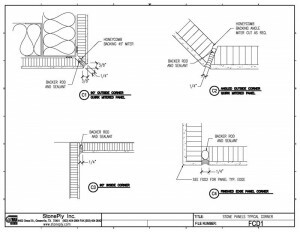 Details of parapet cap options. A metal cap or a fabricated StonePly cap. 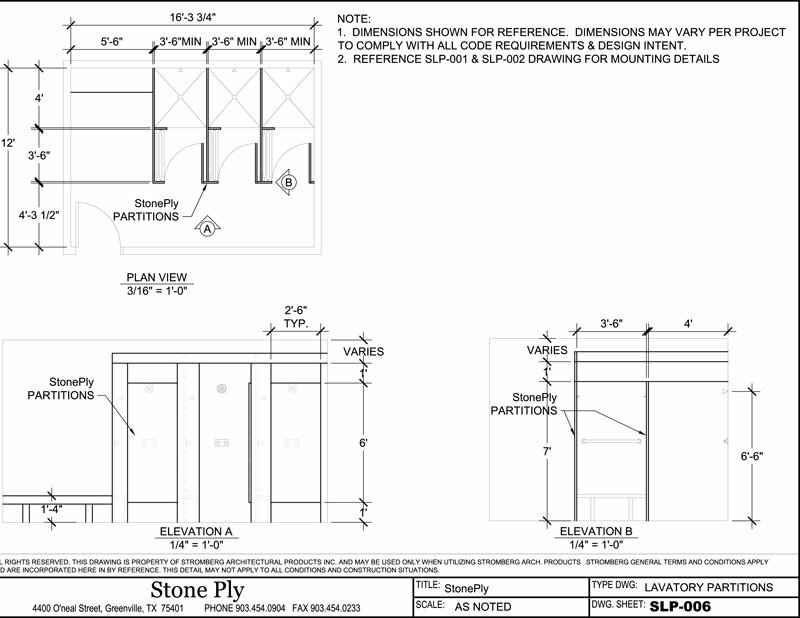 For complex stone cornices, StonePly allows the creation of preassembled cornices on metal frames. Two examples are shown here, but the possible shapes and sizes are limitless. 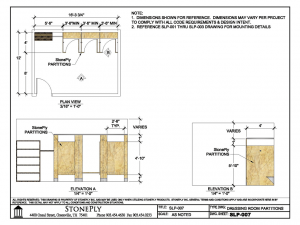 In most cases the cornice should drain the water back to the roof to avoid water running over the stone face. 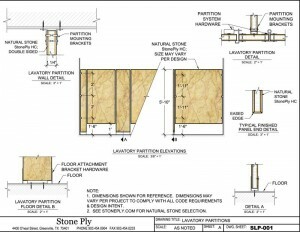 Drawing of floor mounted stone restroom partition. 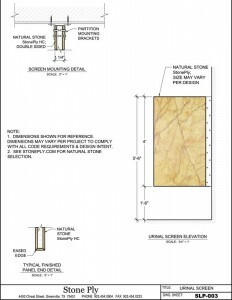 Applicable to granite or marble toilet partitions with floor mounting. 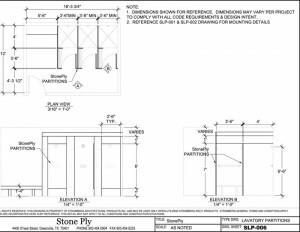 Drawing of restroom partition mounted at both the floor and ceiling. 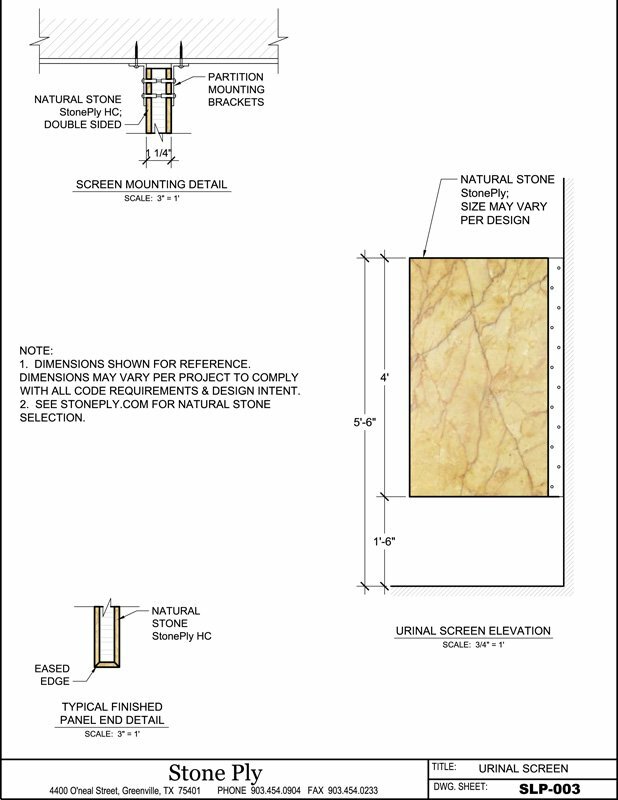 For granite or marble toilet partitions. 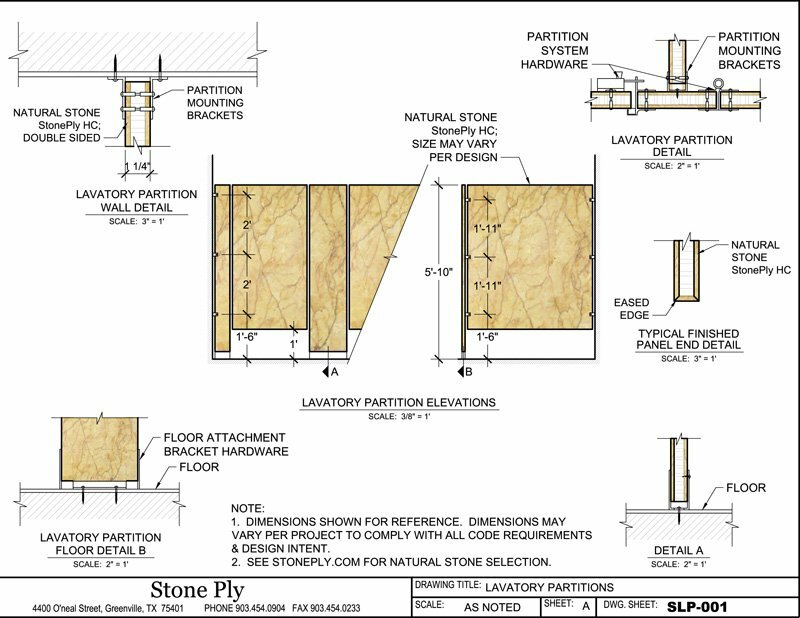 Plan view of restroom partition layout for marble or granite toilet partitions. For more information please contact us at 903-454-463. We look forward to hearing from you!